Top Ender went out last night and so the Fish Burgers I had been planning to make got swapped to be made and eaten today. That way, we all had our two portions of fish in the week and none of us has to worry about having fish for lunch during the week. 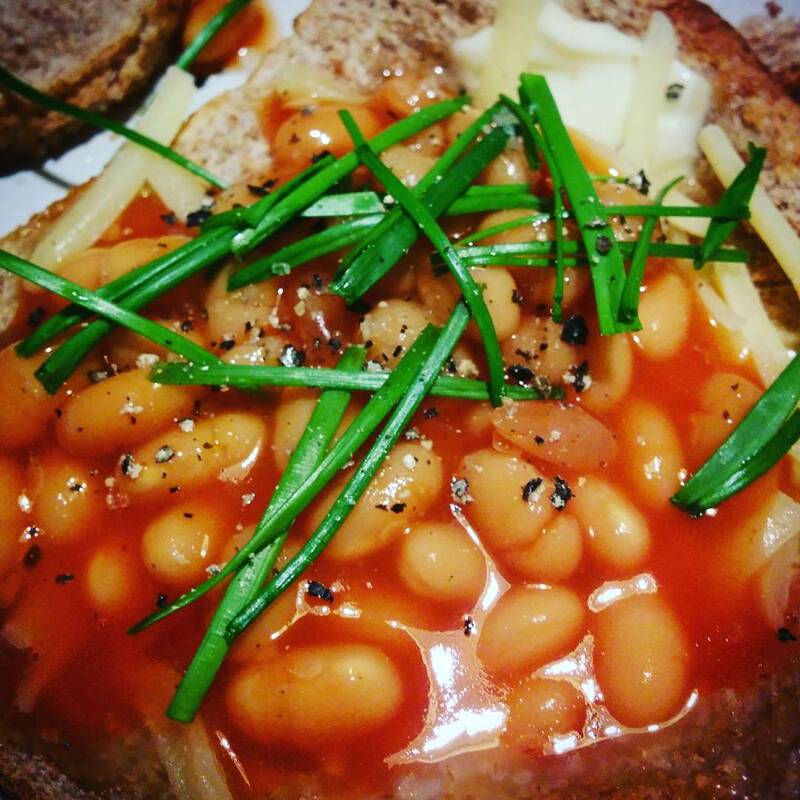 We had Beans on Toast last night, which is a standard go-to meal in our home! I have offered to make this, but if I know Flyfour he'll want to make it himself because he likes making the weekend meals, especially as it means that generally, they are ready for almost the moment we get home from Church on a Sunday and hangry Pippa and children is no fun on the weekend! I wanted to do a carb-free night for Dan Jon Jr, and had scheduled this in before finding out that this coming Thursday, we're going to get a new Pump and Handset for Dan Jon! Still, it doesn't matter as a new pump won't be changing the amounts of bolus or anything, it's just new things for us to learn and we need to make sure that his bolus levels are correct! 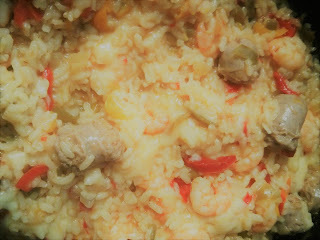 I really love Paella, and I was going to make this one from scratch, but after I had priced up the chicken and the seafood and the chorizo etc, I realised it was cheaper to buy a pre-made frozen version and just add my own extra ingredients to get it to how our family likes it and of course to bulk it out, so that there will be plenty left for lunches the following day! Something simple as Dan Jon is making it for us. He is actually really excited about being in charge of cooking tonight! I'm hoping to get Top Ender to cook this tonight as she has seen it made enough times! I'm hoping to get both children cooking once a week, just so that they can start to build up their skills and meal making ability. I know that Tops can actually make this, as she has made it before, but I think the test is going to be if she asks me to help or if she asks her brother! When I made this the other week, I forgot and just made Spicy Chicken. Tonight, I'm going to make it properly with Herby diced potatoes as a side, which I made last week and the children LOVED so much that they asked for them to be with every meal every week, for now and the rest of time... I said no but thought there was no harm in having them tonight!